John Homsey is a long time Volunteer and friend of Goldcoast Ballroom. As a charming Host, he is a favorite of most of the ladies in the Ballroom. Many insist on their loved ritual of receiving a hug and a kiss from “Johnny” before leaving the Ballroom after any Social Dance. John is an accomplished dancer, who worked as a dance instructor at Arthur Murry Studios in Massachusetts, his home state, in his younger years. He loves East Coast Swing, West Coast Swing, and Lindy Hop, and is a fan of the Big Band Era. In his profession, John worked for RCA for 25 years. He also was a restaurant owner. 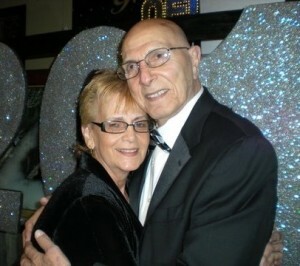 He has lived in Florida since 1992, and has been a part of Goldcoast Ballroom for over 15 years — since the Ballroom opened in 1996.